The world’s bee population continues to decline and many gardeners are trying to increase bee-friendly plantings on their properties, but it seems like wasps are positively flourishing. There’s no doubt that wasps play an important role in reducing certain caterpillars and mosquitos, while assisting in pollination, but the sad fact of the matter is that we do not like being stung by these rather aggressive creatures. Encouraging wildlife of all shapes and sizes into our gardens is usually desirable but wasps, yellow jackets and hornets are not easy to co-exist with. This problem is exacerbated by their tendency to build nests in places you need access to, with outhouses and sheds being favorite homes for them. Dealing with individual wasps that fly in an open window is one thing, but if there is a nest nearby then the agitated wasp you are dealing with is likely to be quickly joined by some friends. This isn’t good news for you, because while bees can only sting you once a wasp can keep punching holes in you as long as it likes. Obviously a wasp nest really isn’t something you want on your property. When it comes to getting of a wasp nest the safest option, especially if you are particularly sensitive to the stings, is to call in pest control; they have the protective clothing and experience to get the job done safely. However, many of us would rather find a more cost effective solution, ideally one that avoids using too many toxic chemicals. First, it’s important to check that your nest is inhabited by wasps and not bees. If turns out to be a beehive then help can usually be found from a local beekeeper who – for a small fee – will remove the bees without killing them. If it’s wasps, though, more drastic steps will be required. 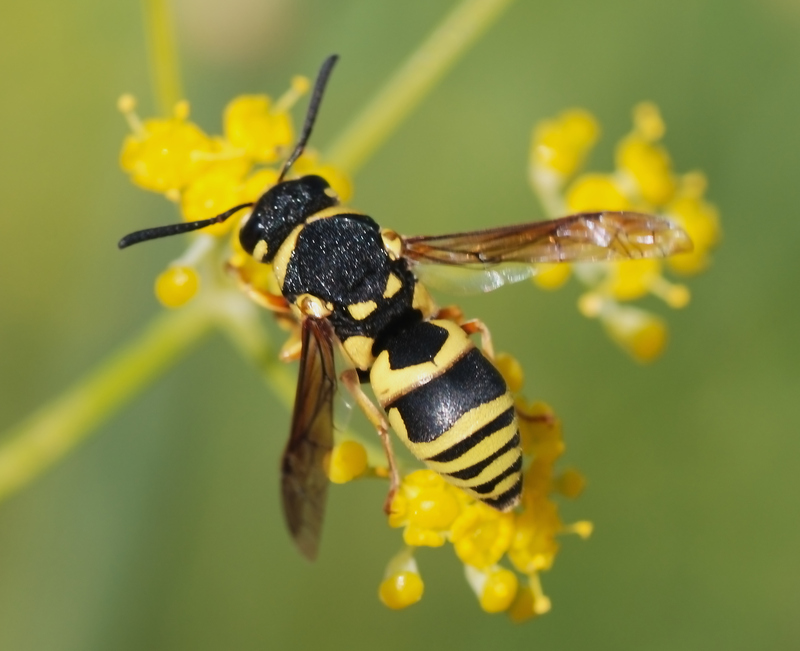 There are three common types of wasps in the USA and a little research will tell you which one you have – paper wasps, yellow jackets or hornets. One method that many swear by as a preventative measure is to hang a fake nest in your garden. Wasps are territorial and are unlikely to set up home in the vicinity of another nest. You can purchase fake nests online quite easily and they aren’t too expensive. There are also plenty of anecdotes of people using a simple paper bag and finding success with it. If you want to keep wasps off your property beware of unpicked fruit. Once it starts to rot and fall to the ground it is incredibly appealing to wasps, with things like apples, grapes and cherries being among the worst offenders. If wasps from a nest that’s not on your property are bothering you make sure you remove fruit before it gets ripe enough to fall, and ensure rotting fruit is removed from the ground. If you’re tackling a nest yourself there are a few tips that will make your life easier (and less painful). Make sure you’re well covered and that your clothing doesn’t have any gaps or folds that give a wasp somewhere to get in or hide. Late at night or early in the morning are the best times to do the job; wasps are sleepy then, so less aggressive than usual. If you choose the evening then trying covering your flashlight with red film or paper, as this is less attractive than a bright white light. If the nest is accessible from all sides then one method is to pull a bag up over it from bottom to top, then tie the open end quickly around the stem of the nest to seal it. Snap or snip the stem and submerge the bag in a large bucket of water; place a large stone on top to ensure the nest stays underwater, and leave it for several hours. Although this method may seem a little harsh it is very effective. If you can’t get a bag over the nest – for example if it’s built under the eaves or in a corner – poison is your best option. There are many sprays and poisons on the market for home use. Always follow the instructions, and be sure to keep the treated area clear of children and pets. Remember the dead wasps will be poisonous to anything that eats them so clear away the corpses once the nest has been wiped out. Be sure to avoid a position you can’t easily escape from if something goes wrong. Make certain you are not dealing with bees; these need sensitive removal. Ensure your clothes are sealed, whether you’re allergic to the stings or not; multiple stings can be dangerous for anybody, not to mention extremely painful. Spring is the best time of year for nest removal, ideally in the late evening or very early morning. A nest built within a structure will have an entrance and exit, so it’s important to know where both are. Keep all poisons out of reach of children and pets, both in use and in storage. With luck, and a little effort to avoid attracting wasps to your property, you should have a pleasantly sting-free summer.